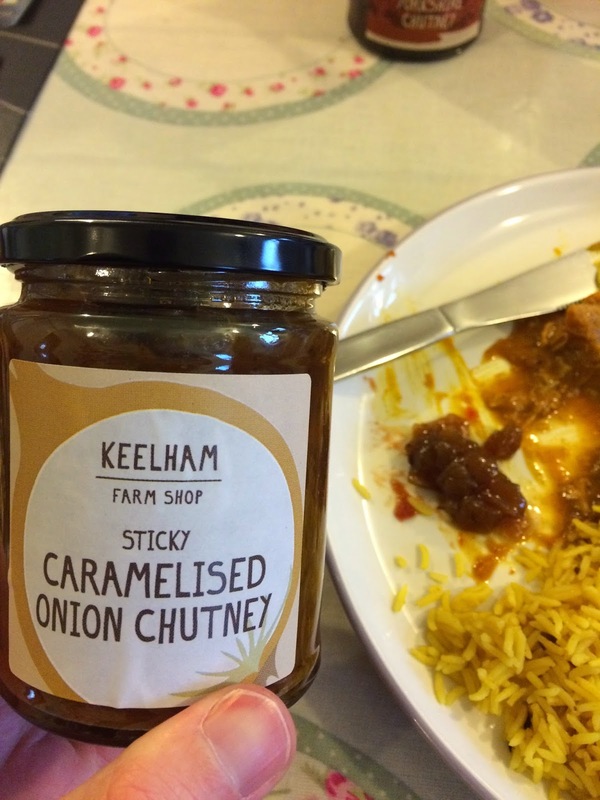 Bet you've still got some leftovers from all those parties - what you need is some good chutney. 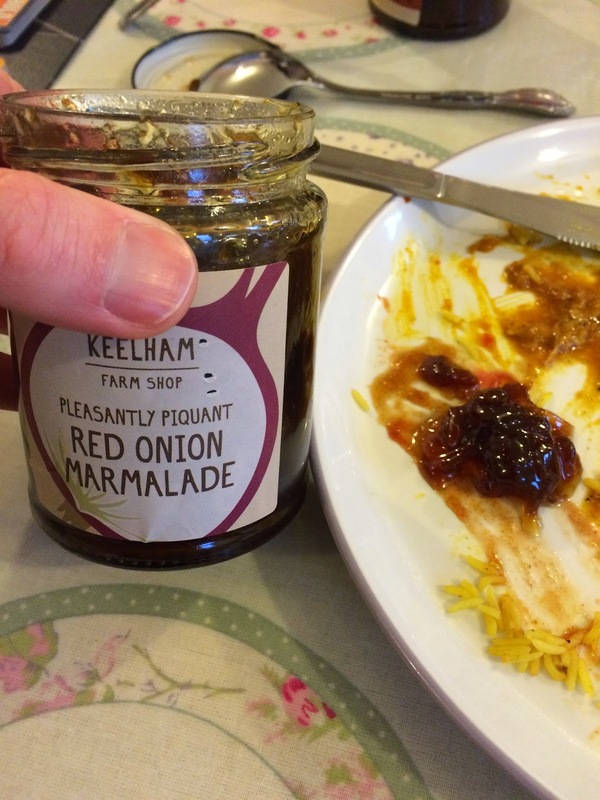 Keelham Farm sent us a box of six, and frankly I didn't know how to review them in a normal way. I took them round to my little sisters house on the Sunday between Christmas and New Year to accompany a turkey curry and some left over ham & cheese. I took feedback as appropriate. Tempting as it was I didn't force everyone to try all six and let each sell itself on its own merits. My partner and I would choose one jar each of the six to take home and let others take the rest presuming that they were all liked by someone. First up I tried what I'd presumed would be the least exciting jar in the box. 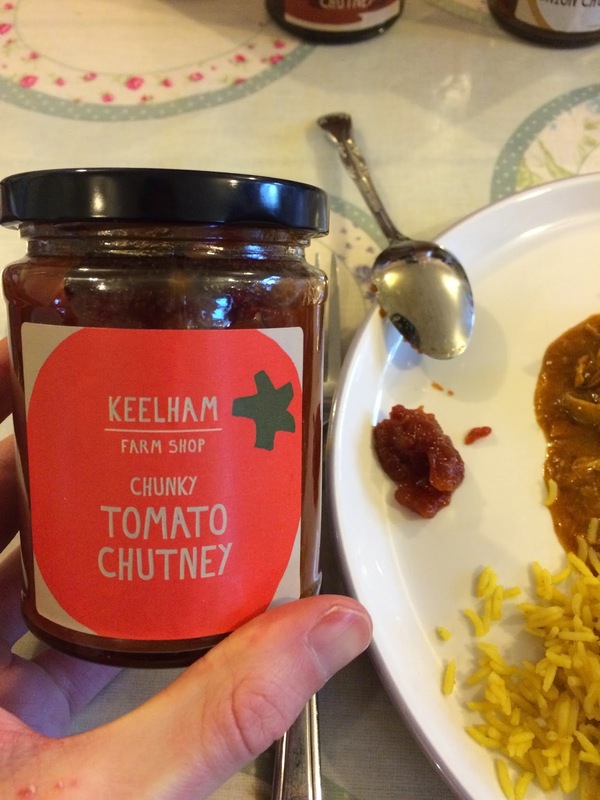 This one has large chunks of tomato and a little spicy kick from chilli hiding under the chutney regulars. And I actually really liked it! It complemented the rice and curry well and added a nice level to the ham too. An early contender for the prize. 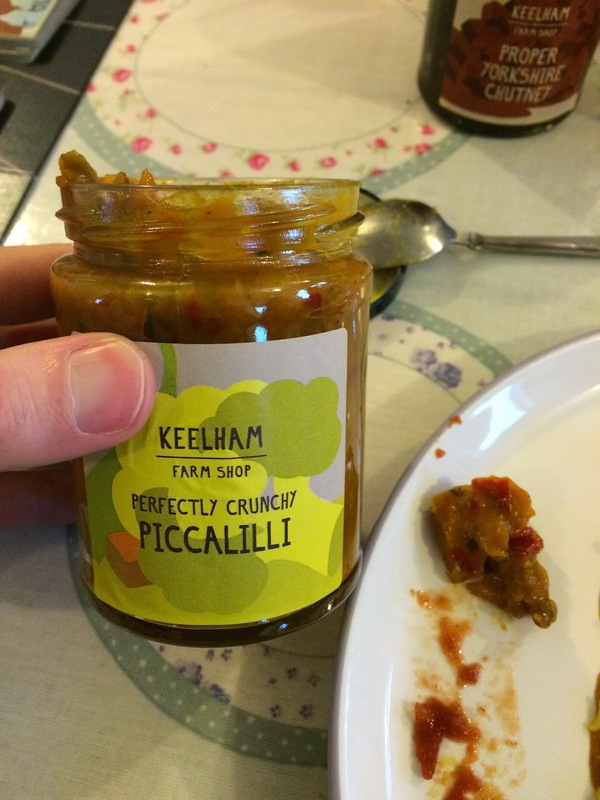 Next up was the piccalilli. This had more variety in its contents than the just tomato one but I'm not a massive fan of pickles. My sister is though and she happily adopted this jar above all others. For me it was nice but not special, but those that have this regularly did say this was above the norm. 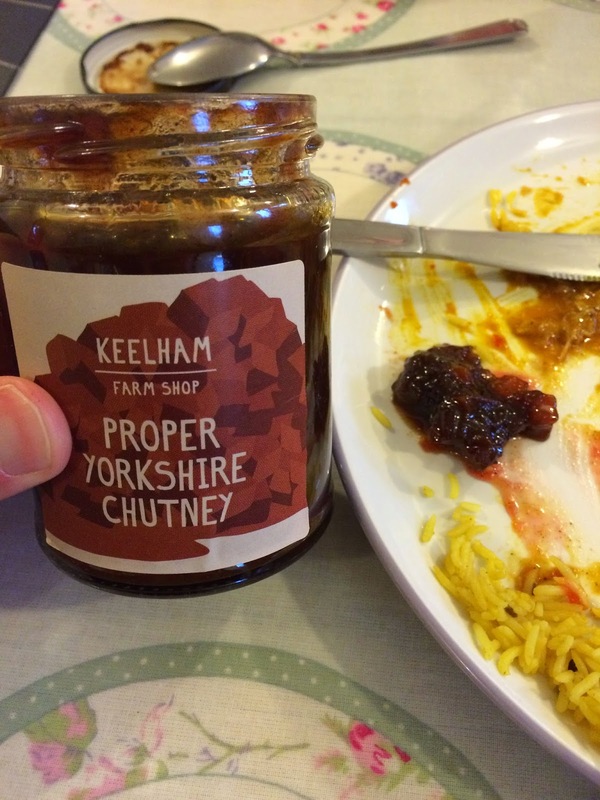 This to me is the most normal chutney, kind of like the basis of all others. The Bacon Jam that we had before was similar to this and while there is certainly more onion noticeable in this it is of a similar quality. 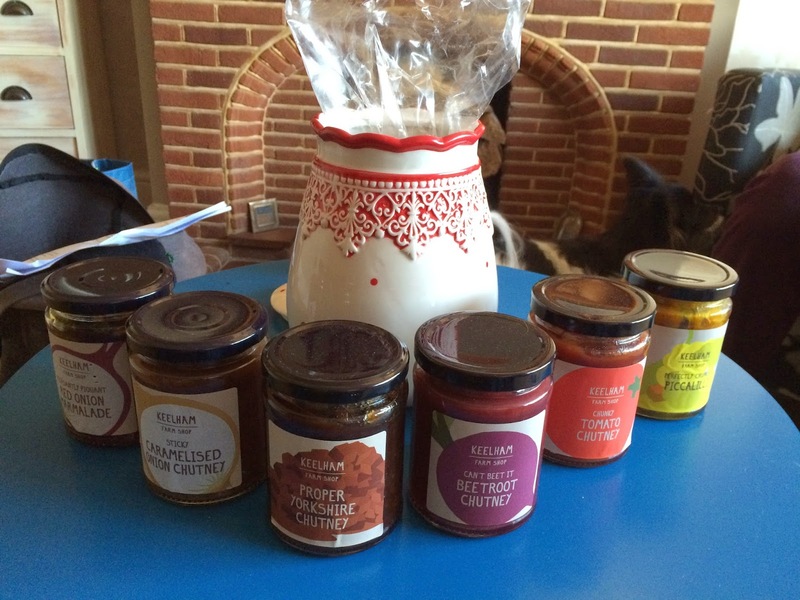 I think it's the typical chutney because it's so versatile. It went well with everything and was liked by all. You may notice that this jar is more empty than the others - my parents loved this. It was adopted by them even before I'd got to have a bite. There is a little too much sweetness here for my typical tastes, but the beetroot Isnt anywhere as strong as possible and I liked it more than expected. Not in my top three, but not far off. There is a popular brand of picked in the UK that does a mixed jar - and this is very similar (so I'm told) I didn't find this to my tastes and while it was certainly Interesting and of a good quality I don't think anyone put this at the head of the pile. I'd presumed this would be a favourite as it's more similar to your regular side, but I guess my family liked the unusual flavours more! This is probably my second favourite (behind the tomato) and it's amazingly sticky. It spreads really well so you can have an even spread meal. It's quite similar to the other onion but there is much more sweetness. My sister's partner ranked this as his highest so we left this with them. They also took the Yorkshire and the picallily, my parents only wanted the beetroot. My partner liked both onion ones but we went for the non sweet one as we have a lot of sweet preserves that need using. I fell in love with the tomato one straight away and it remained my favourite. If it means I have to add some to an order from the online shop a little later in the year to get a top up then I'm ok with that. Happy new year, and may all your leftovers be as plesant as ours.